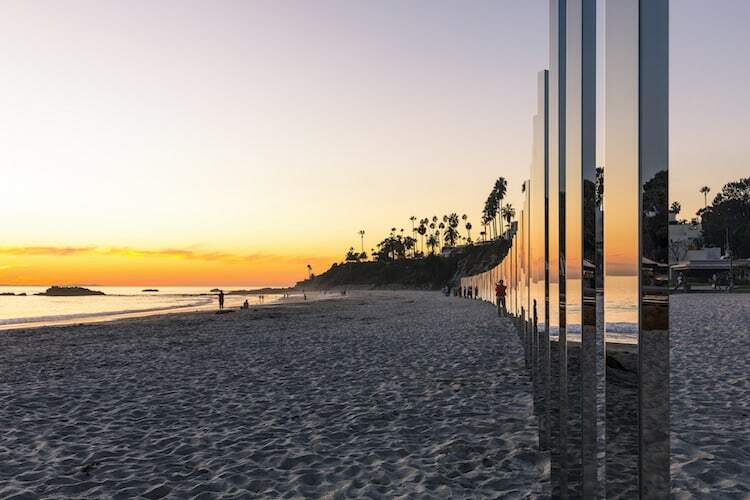 A quarter mile art installation of almost 250 mirrored posts were installed on California’s Laguna Beach coast, reflecting the Pacific Ocean and the colors of the surroundings changing throughout the day. 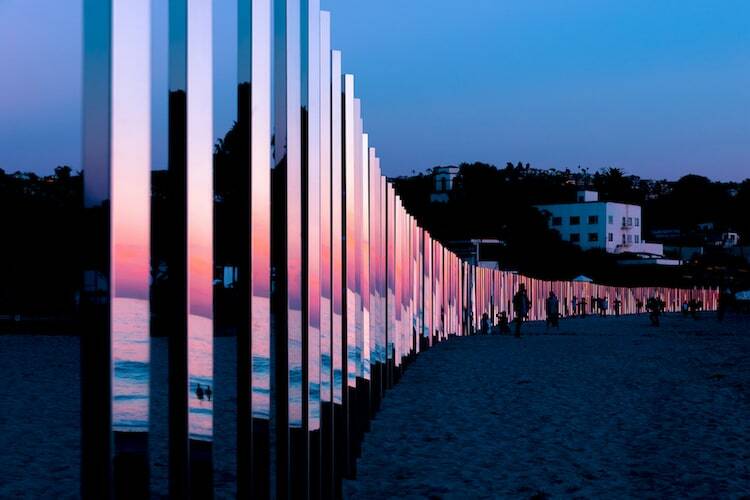 If you’ve been in or around Laguna Beach, California in November you might have been one of the lucky few that was able to visit this beach art installation. 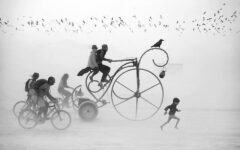 Unfortunately the Quarter Mile Arc is no more, but the good news is we’ve got the photos and video so you can enjoy it right here. 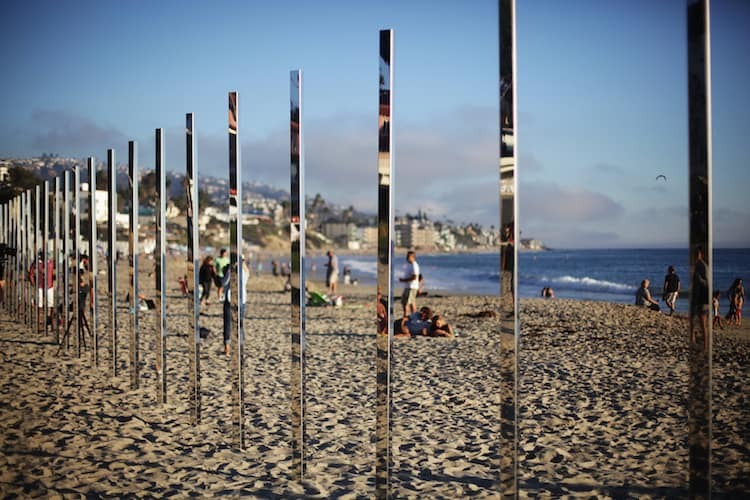 The art installation by American artist Phillip K Smith III was composed of around 250 mirrored poles made of polished stainless steel that were spread evenly across a beach in Laguna Beach. 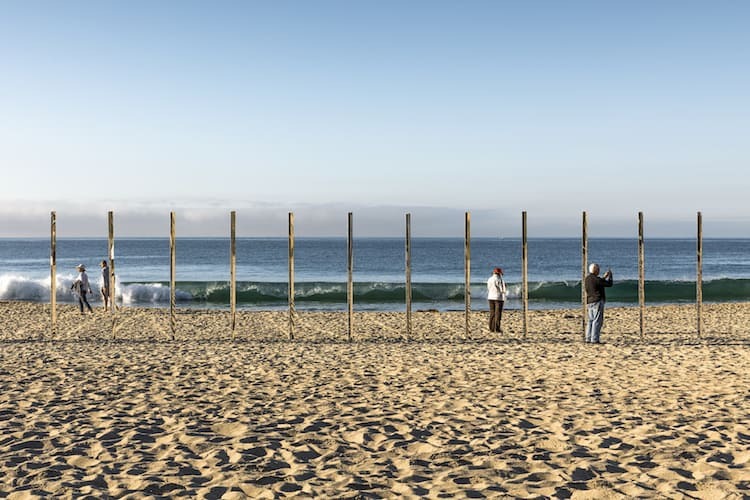 Each pole had the same height (about twice the height of an adult) and created a partial barrier between the lovely ton and the sea. 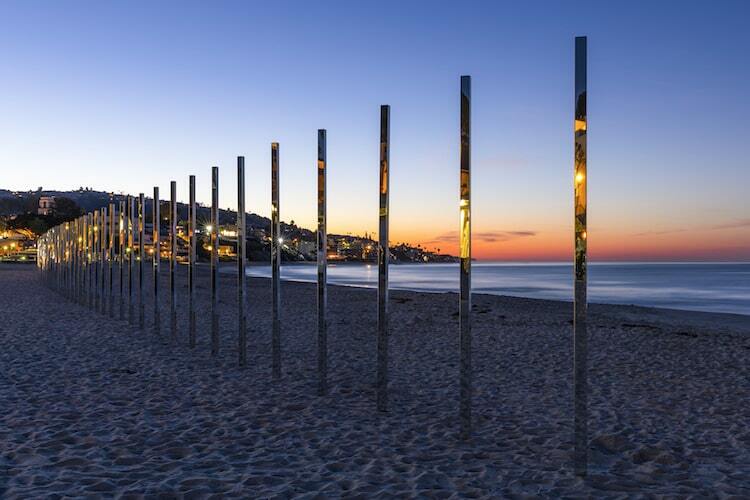 The poles offered different perspective of the surroundings based on your location. 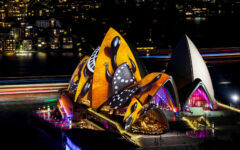 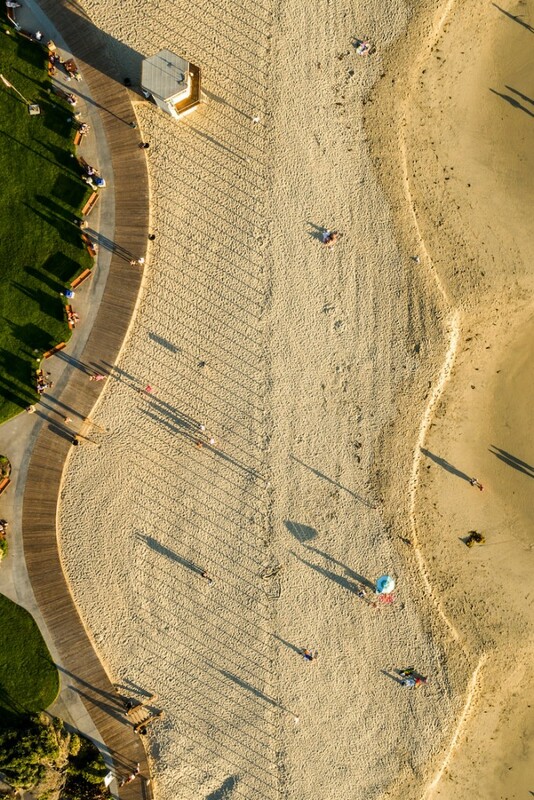 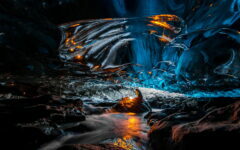 Some of the best points to interact with it were along them, so you could witness a full wall of reflection or, for the lucky ones that have a drone, the poles reflection on the sand, as seen from above offered a perfect view. 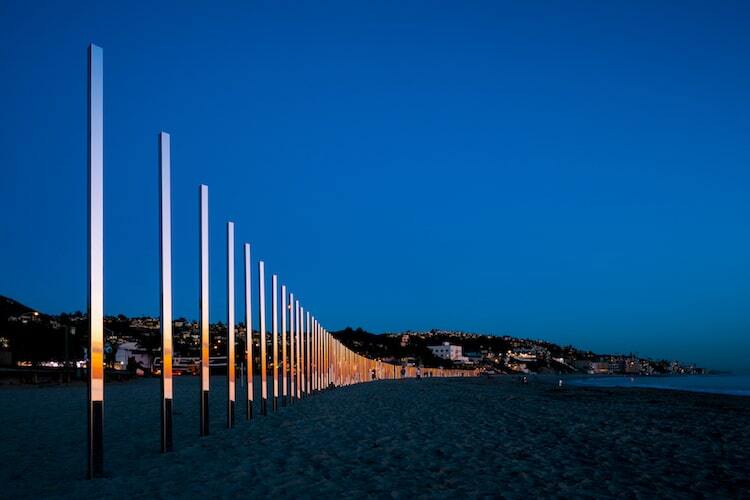 Quarter Mile Arc was installed from 4 to 6 November 2016, being a part of the Laguna Art Museum’s Art and Nature programme.